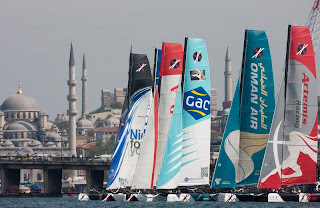 The first day of the Extreme Sailing Series™ Act 3 in Istanbul, Turkey saw an action packed seven races for the 11 international teams, with Artemis Racing taking the top spot with 52 points, only a single point ahead of Act 2 winners Luna Rossa and Alinghi on 47. 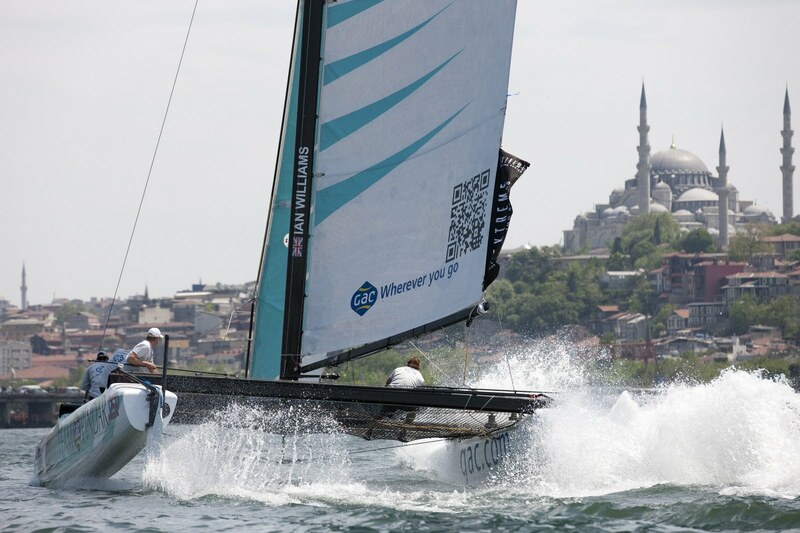 The racing conditions tested the teams today as the 44 sailors manhandled their Extreme 40 racing machines around short, sharp courses. There were plenty of gusts to potentially trip the up boats, shifts in wind direction and the race legs were so short it was a full-on physical work. 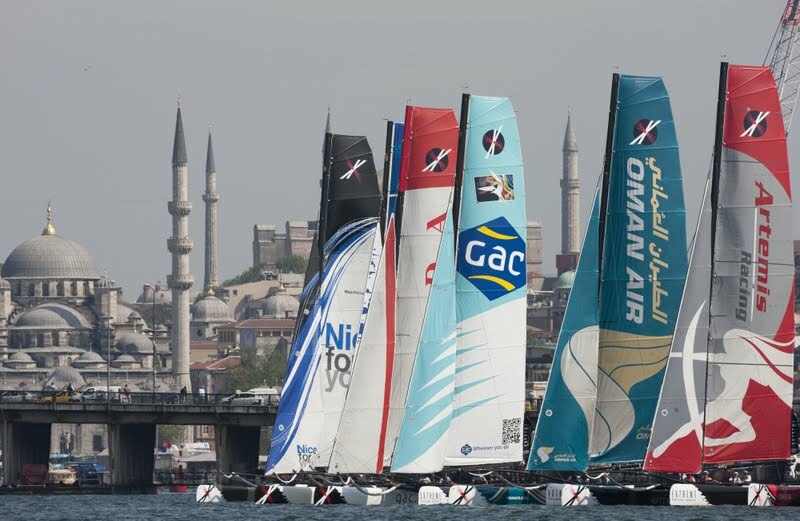 “It’s beautiful to sail here, the conditions are good with a tricky wind which is good for us,” said Maxi Sirena, skipper of Luna Rossa. 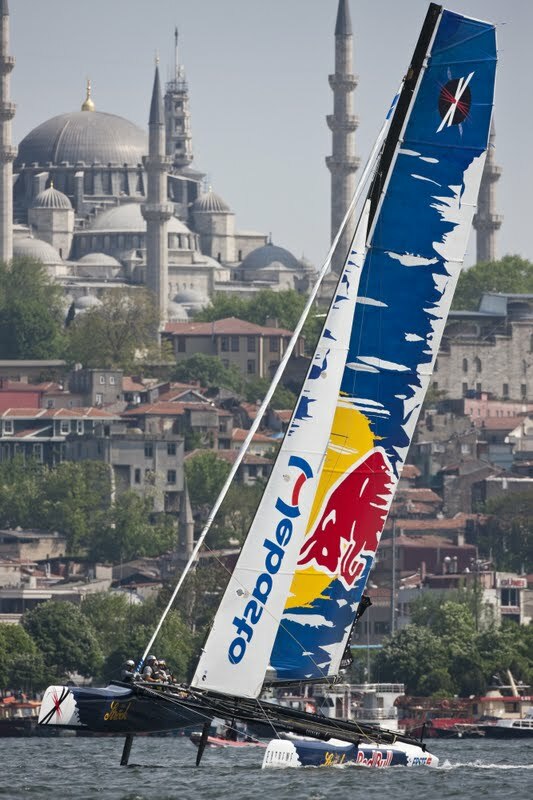 For six out of seven races today a different team crossed the finish line first, only Luna Rossa scored two bullets. Alinghi, Emirates Team New Zealand, The Wave Muscat, Groupe Edmond de Rothschild and Team GAC Pindar all secured a win apiece which kept everyone guessing right up to the last race as to which team would finish the day on top. 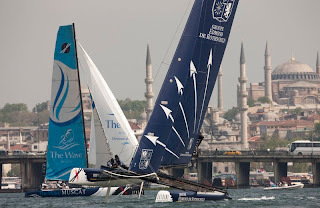 "Act 3, Istanbul - Day 1 - Groupe Edmond de Rothschild"
The race management maximized the length of the upwind/downwind leg using the widest part of the Halic estuary but the downwind leg was still short – with the Extreme 40s covering the 400m stretch in 90 seconds. Two laps round and each race was over in just 10-12 minutes. 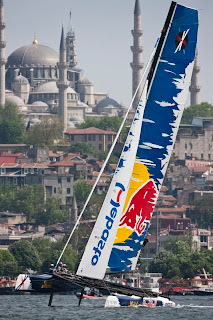 With only 11 points separating the top eight teams there will be some tough competition tomorrow as the front runners try to establish a firm lead, and the race course will become narrower as it moves in front of the VIP set-up for the media day ahead of the Extreme Sailing Series Race Village opening to the public on Friday, 28th.